Mandelic facial cleansing foaming gel is a gentle, non-abrasive cleanser developed to remove makeup, oil, dirt and impurities while leaving your skin soft, moisturized, and revitalized. A refreshing formula that gently exfoliates and cleanses skin with added anti-bacterial benefits to create divine, clear, and poreless complexion by combating acne, blackheads, fine lines, and hyperpigmentation, to regulate sebum production, and to promote cellular turnover for antiaging benefits – all accomplished with only minimal to no irritation. Moisten face with lukewarm water. Apply a small amount to the palm of the hand. Massage over skin. Rinse thoroughly, then pat dry. 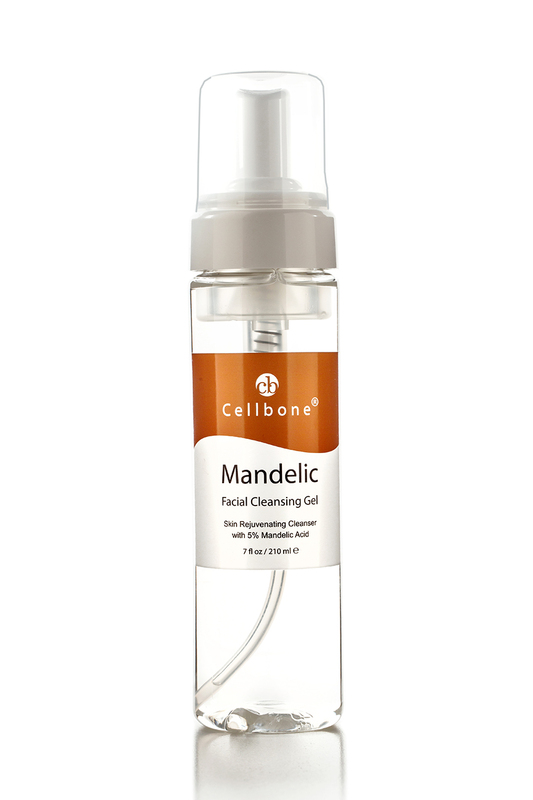 Follow with Cellbone Mandelic Skin Refresher and Hydra B5+ Gel.